Since I've missed the manicure friday post I decided to post today some pictures of my new "Nail Art". I felt inspired to do something more fun than my usual plain nails. 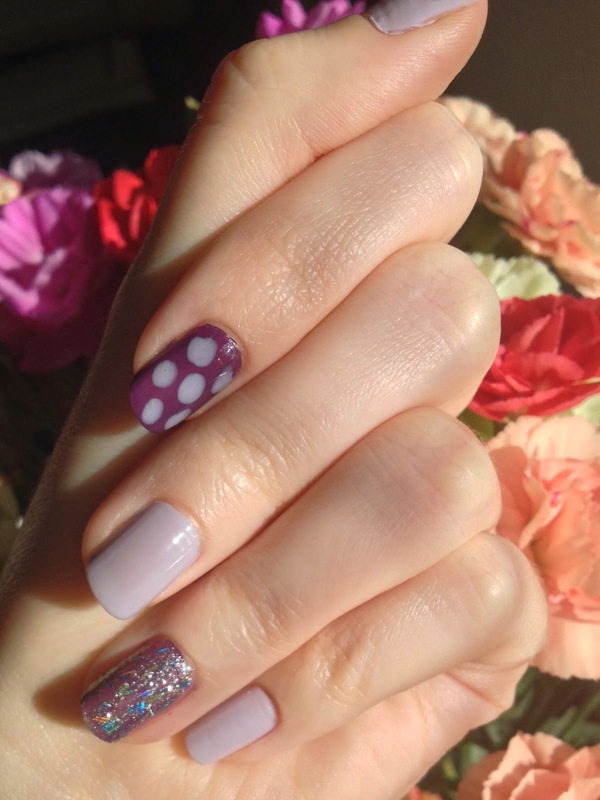 I went for a mixture of glitter and polka dots. I love the milky pastel lilac colour, even though we are in the autumn months. 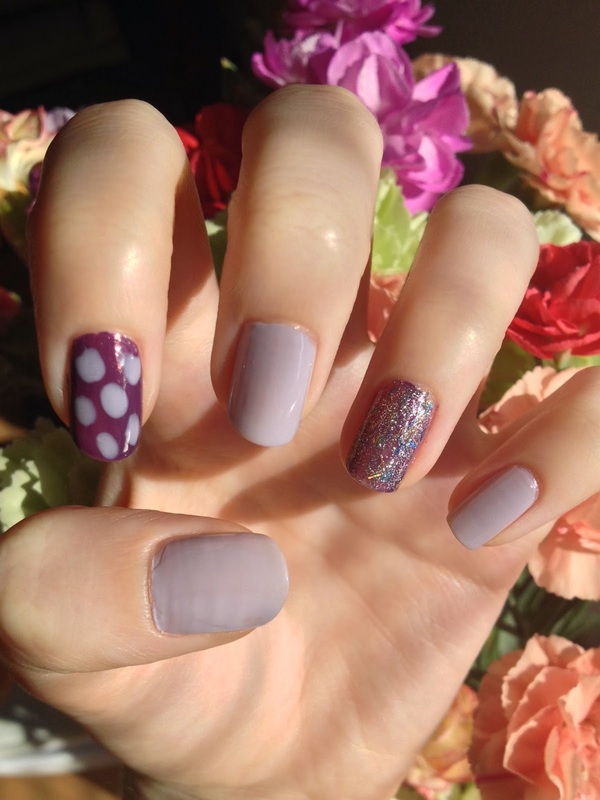 I used all OPI nail polish, except the lilac which is an Essie colour.